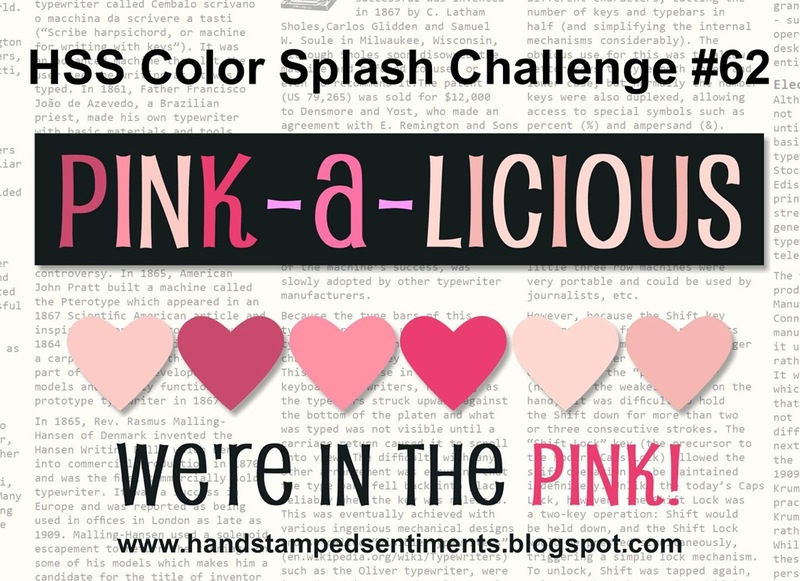 This week at Hand Stamped Sentiments we have a fun color splash challenge with PINK! Create any project with all the shades of pink. Since pink is such a feminine color I decided to create a teapot shaped card and candle for mother’s day. The template for the teapot can be found here. I enjoyed creating this project with the help of My Digital Studio. I printed the DSP from the Spring Vintage DSP download. To embellish the teapot I used the Blossom Petal punch and coordinating stamp set. The butterflies were die cut from the Beautiful Wings Embosslits. Take the challenge and show us your pink-a-licious projects. Love that Teapot!!! 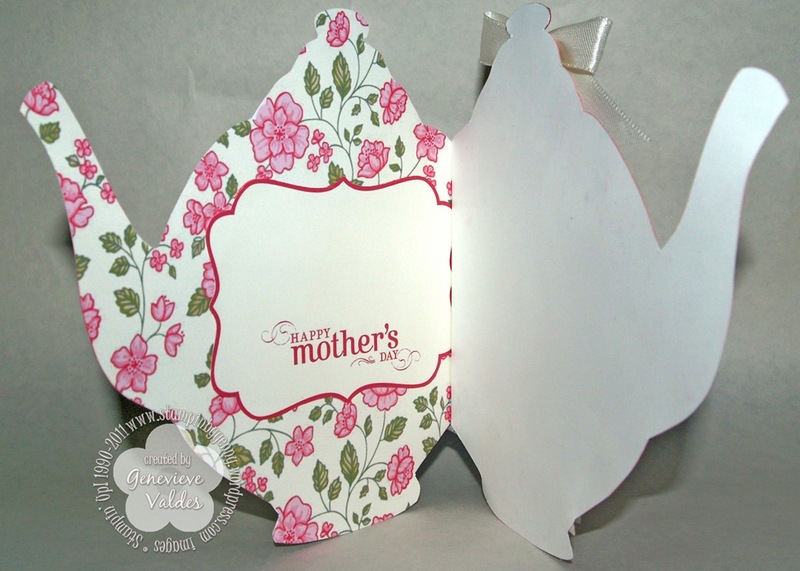 What a great card for Mother’s Day. First, let me say, I am blown away by how perfectly you cut those flowers out on the candle. Wow! 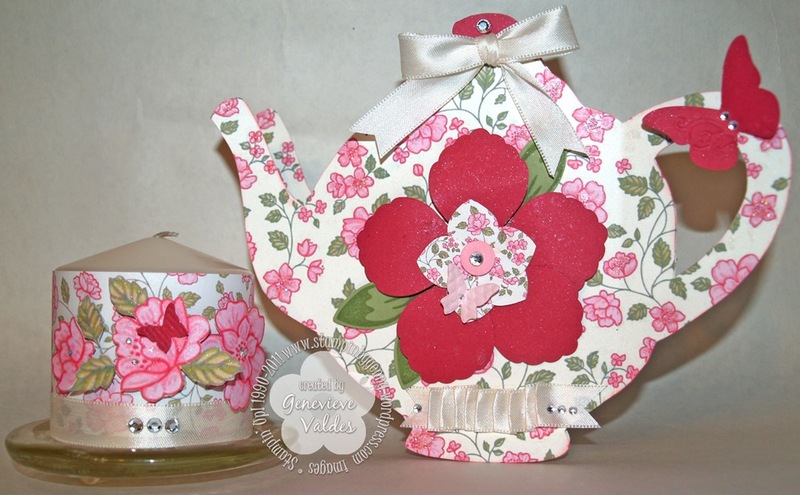 The teapot card is gorgeous, too and all of the details you added just work perfectly! I’m dying to see this onein person! What a cute card! So very clever.